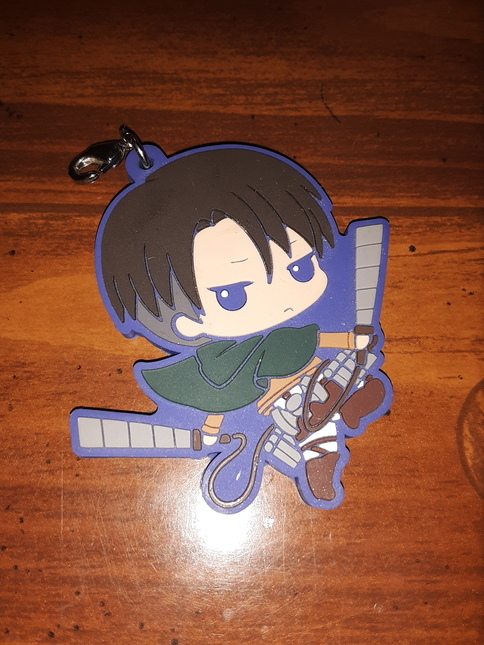 Attack on Titan Levi rubber phone strap keychain - Accessories - Anime Market: Buy and Sell Manga, Anime and More! Bought at a convention, it's been sitting on my shelf for a few years now. There are some glitter particles stuck in the cracks from another keychain it was next to. 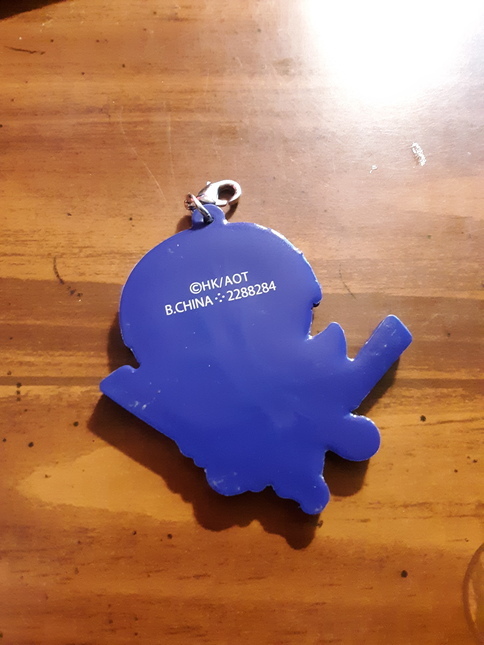 This is also missing the loop part (comes as-is). All sales are final. Please contact me with any questions or concerns. Items will be shipped with tracking UNLESS OTHERWISE SPECIFIED IN LISTING. Please read the listing for all information about a specific item.